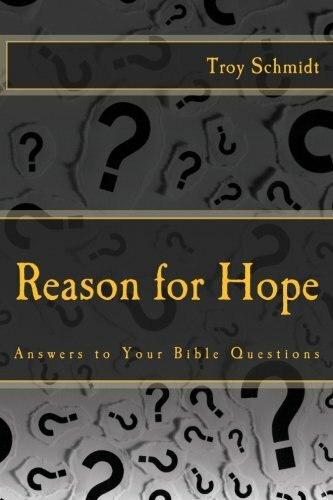 Reason For Hope: Why doesn't God just show himself to everyone so the world can believe? Why doesn't God just show himself to everyone so the world can believe? People believe that if they only saw God they would believe in Him. 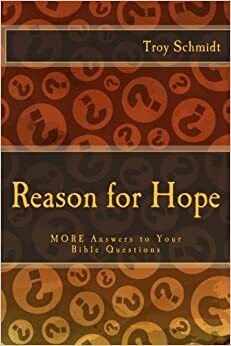 Would that solve all these problems of belief? It hasn't worked in the past. God revealed himself to Adam and Eve and they still chose to disobey. God manifested himself in a pillar of smoke by day and a pillar of fire by night and the Israelites still grumbled and complained about him on the way to the Promised Land. God prophesied accurately through prophets about key events in the Old Testament and it still didn't add up for people. Jesus came to the earth in flesh and blood, performed miracles and rose from the dead and still people refused to believe. SEEING does not equal BELIEVING. So how does God show himself? God reveals himself to us by speaking to our hearts. That still, small voice that calls you from inside telling you to believe and trust. God reveals himself by the testimonies of others, who have experienced him. God reveals himself through the Bible, speaking to us through his words. God reveals himself through circumstances that fall into place when you just know that they couldn't have happened unless God was behind it. So how exactly would God reveal himself to everyone today? What if God showed up on CNN and spoke to Anderson Cooper live on the air. Let's say 12 people were on the set and 15 million saw it live. Then 300 million saw the replay online. And then let's say those 300 million told another 700 million. Okay, so 1 billion people now believe there is a God. The population of the world is 7 billion. Many don't have TV or computers. How would the others find out that God showed up on CNN? They would have to share the testimony of what they saw and how their hearts were changed. They would have to travel to the those areas and talk about the circumstances surrounding it. They may even share from written reports from Anderson Cooper and the 12 "apostles" who were on the set and saw it live. Even if God showed up today, he would still use the same method to communicate his existence to the world. Jesus showed up in the first century with no TV. Only the written word. And look how many have believed. BELIEVING equals SEEING the existence of God through the methods he uses to communicate himself to us...by FAITH.